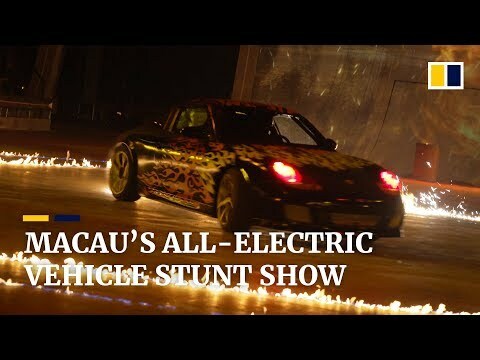 Studio City in the Chinese special economic zone of Macau has debuted its new indoor theatrical stunt show Elekron, the first show in the world to feature a cast of all-electric vehicles. Launched in January, the 75-minute show showcases more than 70 powerful electric vehicles including sports cars, buggies, quads and trail bikes. All the vehicles are bespoke and designed from scratch, powered by Tesla motors and feature customised control systems. Studio City hosted the South China Morning Post to attend a performance with a backstage look at some of the magic behind Elekron.